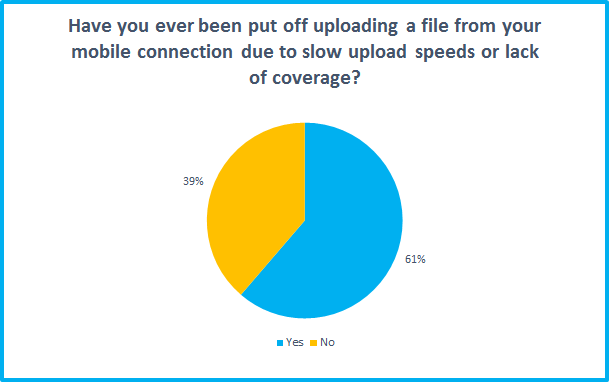 Millions of home and mobile broadband users aren’t able to take full advantage of their devices due to slow upload speeds, according to data we gathered in a recent survey. 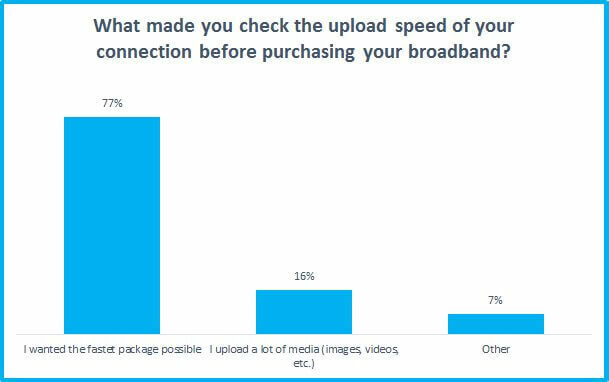 While broadband providers put a heavy focus on the headline download speed, less attention is given to upload rate. But it is increasingly important for sharing photos and clips on social media, backing up files and broadcasting live video, among many other activities. Yet there’s often little focus given to upload speed by providers and, as we discovered, a lack of awareness among some users. We asked 2,149 visitors to our site about their experiences when uploading files, and found a significant number are suffering poor performance that’s impacting their behaviour. 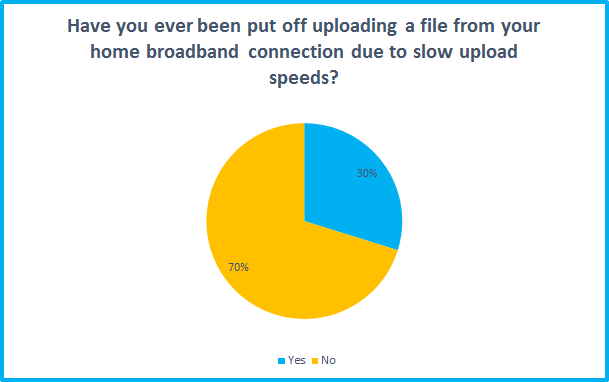 30% of home broadband and 61% of mobile broadband users say they’re put off uploading due to slow speeds. 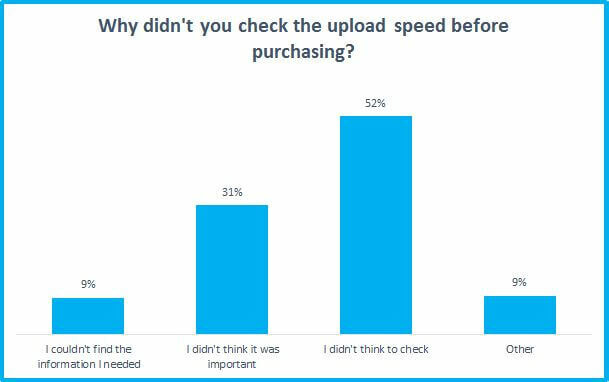 65% of home broadband subscribers surveyed said they did check upload speed before signing up to a provider. It’s good to see a majority are doing the research, but there are still potentially millions of people who’ve purchased a service without a full understanding of its capabilities. Of the 35% who did not check, the majority simply didn’t consider it when making a decision, while 31% did not believe it was important. Most concerning though is the 9% who said they couldn’t find this information. 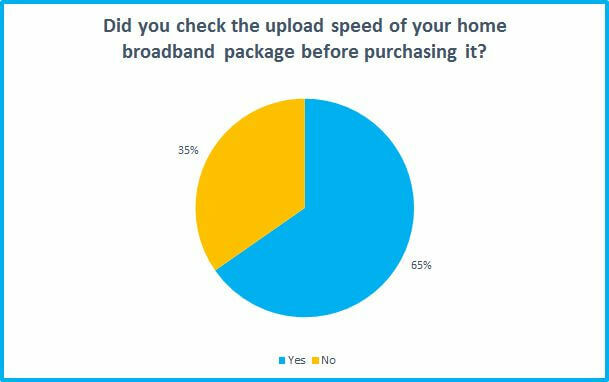 Although home broadband providers are required to supply an estimated download speed to new customers, this does not apply to upload rates (though most ISPs will show both). Compounding this, finding out the potential upload speed before this stage can be more difficult than it should. Upload is not always advertised alongside download rate, and in some cases is not mentioned anywhere on the provider’s own web site. Upload speeds are also not subject to the same voluntary code of practice governing download speeds, which allows broadband customers to leave a contract without penalty if the speed falls below the ISP's estimate. 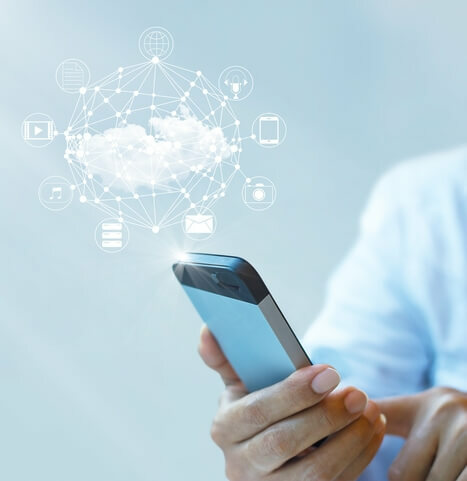 When it comes to mobile the situation is even less clear as providers do not offer up speed estimates in the same way as home broadband, and upload rates can again be hard to pin down even if you dig through the small print. Why does upload speed matter? For ISPs and many broadband users, upload speeds are far from the main priority, which is why this information is not always prominently displayed. But we are increasingly making use of the upstream connection, and it may be a very important consideration when choosing a provider. For uploading the occasional photo to Facebook any broadband service will suffice, but you’ll quickly come to appreciate a fast upload speed when sending larger amounts of data. And if you’re planning on making use of cloud storage services such as Dropbox, or work from home and need to send files to clients, then the quicker upload rates of fibre optic broadband may be a necessity.